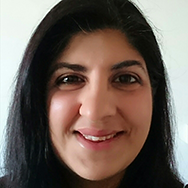 Dr. Suman Verma is a Consultant Hepatologist at the Chelsea and Westminster Hospital and an Honorary consultant at the Royal Brompton Hospital. Prior to this she was a Locum Consultant and Senior Clinical Fellow at the Institute of Liver Studies at King’s College Hospital. She trained in Medicine at Edinburgh and Cambridge Universities and completed a PhD in Immunology. Following graduation, Dr. Verma has worked in major liver transplant units at King’s, Birmingham and Cambridge. During this time, she developed research and specialist interests in the management of chronic viral hepatitis, end-stage liver disease and liver transplantation. Dr. Verma was involved in the NHSE Early Access Program for Hepatitis C and co-ordinated the Early Access Exceptional Case Panel multi-disciplinary meeting. Dr. Verma has been a sub-investigator on numerous clinical trials with the new antivirals, and is a member of the BASL, EASL and AASLD.